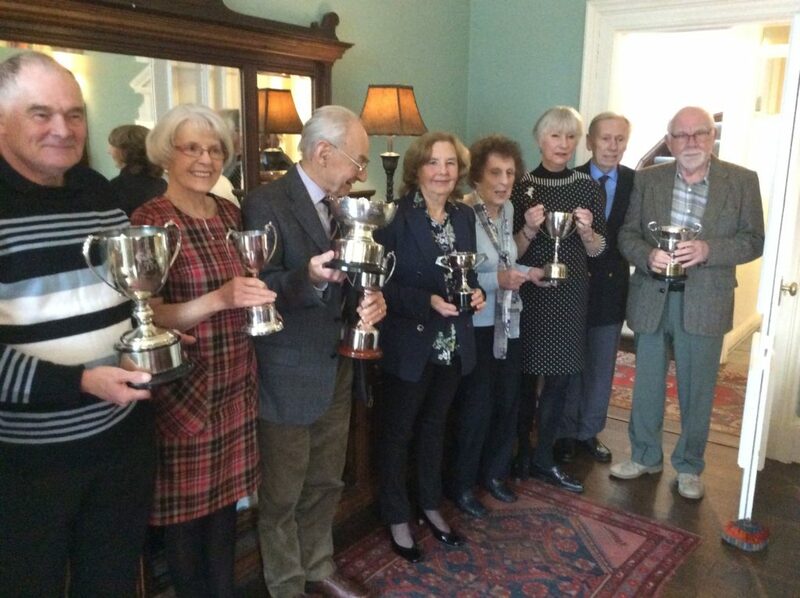 More than 24 members and friends attended the Blackwaterfoot Bowling Club annual general meeting and prize-giving last week where the winners over the season were presented with their trophies, including the newly refurbished Laidler-Gardner Trophy. At the meeting the new committee was elected and the chairman Victor Iutz thanked all those who had worked hard to make the season a success. 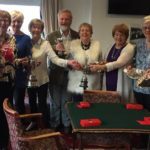 He also impressed that the club are looking forward to next season when they will be hosting the federation matches and that they are equally looking forward to defending the Laidler-Gardner Trophy. The Blackwaterfoot Bowling Club remains open through the winter and rinks matches are held on Saturday and Tuesday at 1.30pm – weather permitting – and visitors are always welcome. 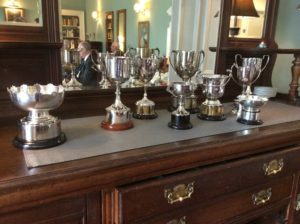 The refurbished Laidler-Gardner trophy among the other trophies.